Berry agrees that Wingo should invite representatives from the Madison Sanitarium and sends good wishes for Wingo's improvement. 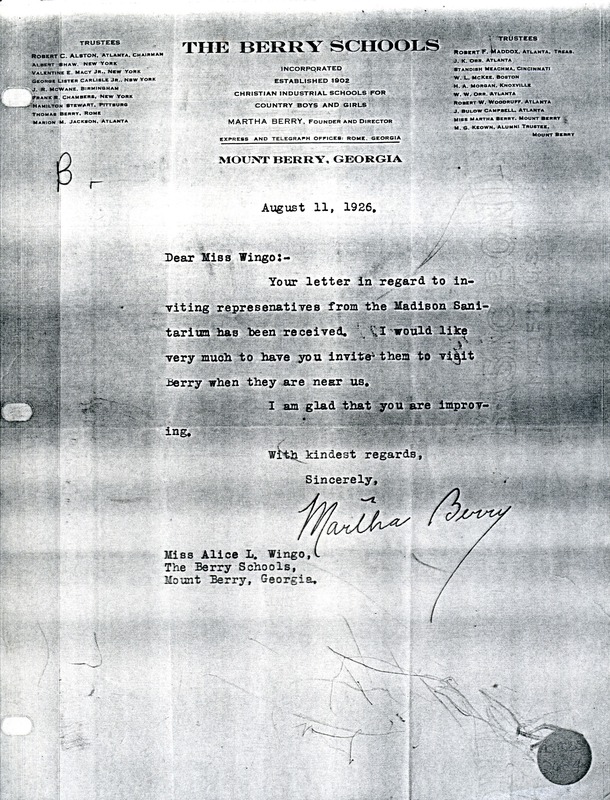 Martha Berry, “Letter from Martha Berry to Alice L. Wingo.” Martha Berry Digital Archive. Eds. Schlitz, Stephanie A., Sherre Harrington, et al. Mount Berry: Berry College, 2012. accessed April 24, 2019, https://mbda.berry.edu/items/show/3690.